Your garage door might not be on the top of your maintenance list. After all, your Orem home or business demands lots of attention. Being a property owner can be exhausting, especially when a vital component of your daily life — your garage door — starts acting up. We hear from Orem homeowners most often when their garage door isn’t working right. Maybe it’s stuck in one position, maybe the opening system isn’t responding to commands or it’s screeching angrily, as if all the parts no longer want to function the way they should. When you need garage door repair, or when you’re considering garage door replacement, call Powell Quality Door Services. Repair or Replace? We Can Help You Decide. You may hope your garage door can be easily repaired, but sometimes that isn’t the right choice. Identifying whether a repair or replacement is the best course of action might be hard without experience handling parts and assessing wear and tear, but it’s something we do every day. We give you the facts, make recommendations, then let you decide whether it’s worth it to spend money on repairs or to invest in a new door. From spring replacement to roller replacement, we can take care of every issue that might crop up. You might not know what the solution is, but you know the symptoms. Call us and tell us what you’re noticing. We’ll come to you quickly and take care of the problem. 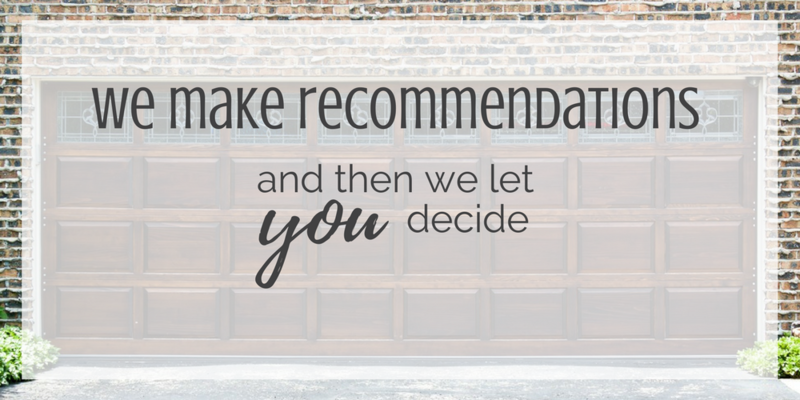 When it’s time to replace your garage door, don’t settle for a subpar product. You deserve the best, and we carry a wide range of models from reputable manufacturers. You have options! We also offer Wi-Fi-enabled garage door systems, which allow you to communicate with your door without physically pressing a button. Our modern, energy-saving lift systems are ideal for homeowners looking to integrate smart features into their everyday lives. From design to function, you can trust Powell Quality Door Services for guidance in finding the right fit when it’s time for a new door. When you call us, you’ll talk to some of the friendliest customer service representatives in Orem. We pride ourselves on taking good care of our customers, even if you aren’t yet a customer and simply want some guidance on taking care of your garage door and opening system. Call today for a free quote on repair or replacement!